Refugees can change their lives by themselves as long as they are in Japan. We are bringing you part two of the interview with Kanako Iwase, a manager of the nail salon called “Arusha”, which hires refugees as manicurists. In this part, I tell you about her present state and future vision. Where did people who took nail art training come from? All over the world. They’ve been given official refugee status and had valid working visas. In order to eliminate the risk of brushing with the law, I received photo copies of documents that proved their status from trainees. But there were many refugees who couldn’t speak Japanese. For example, there were refugees from Africa couldn’t speak any language but French even though they had been in Japan for many years. They came here just because Japan gave them visas foremost. So they didn’t learn about Japan and they blinked at the cultural gaps between here and their countries. They came here with their families and talked to each other in French. Also they talked to their friends in their language. As a result, they cannot speak Japanese at all even though they’ve been here for four or five years. Moreover refugees who came here alone cannot make any friends and shut themselves behind closed doors. Getting back to the point, I chose three people as professional manicurists. They made their debuts at the same time as my salon opened on May 15, 2010. Their careful works ensure repeat customers. Were there trainees who couldn’t complete the training? Most of them completed the first 3-week training. But they were not good enough to receive money so I gave them more training. Then some dropped out, including trainees who couldn’t afford travel cost. You have that kind of rigorous requirement because Arusha is a private company. If your company was an NPO, I think you would have to care for those who couldn’t be professional. But you’re doing business so you have no illusion about your assignment. 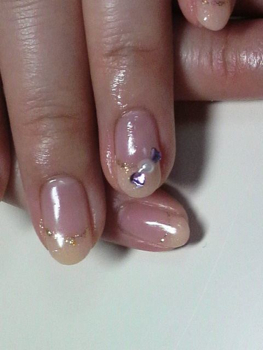 Japanese people require a high level of nail art techniques. 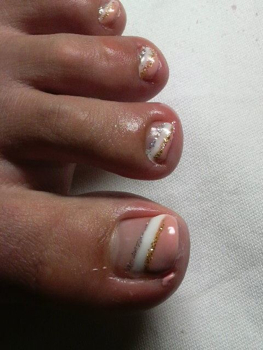 But if your skills are accepted in the Japanese market, you can be a world-class manicurist. Thank God, most of my customers are those who found this salon by word of mouth. Some are from hundreds of miles away even though they must have their own local nail salons. I think they are highly inclined to contribute internationally. 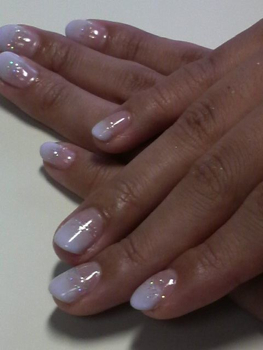 Honestly, we cannot compete with other salons yet because our manicurists have only six months of experience. Manicurists at other salons have 10 years of experience so I respect them. That’s why we bring our aspect of refugee support to the fore. You may think it’s naive but I tell people that they can talk to refugees freely at my salon. There are no other places where you can have a conversation with them. People who are attracted to its cheapness get to know the fact that there are refugees in Japan. Then they make a much wider audience aware of those kinds of issues. This is my hope. Those designs are available at a third or a fifth the rate of other salons. Are you going to take in refugees more? Yes. I’m planning to conduct a second training session from this October. When I had the first one, I didn’t know whether I could produce professional manicurists or not. I think refugees also wondered if they could be professional then. Many Japanese media have covered our activities and the number of refugees who get interested in training. Now I can show them how refugees work here so they can contemplate their future. Also they won’t suffer from bullying here, which derives from the fact that they are refugees. What do you want Arusha to be? I hope to open salons in many places. And I want to establish a language school to create employment opportunities for refugees who are not good at detailed-oriented tasks. I’m sure I will keep assisting refugees in every way. *Opening hour: 1PM – 9PM　*By Appointment Only.